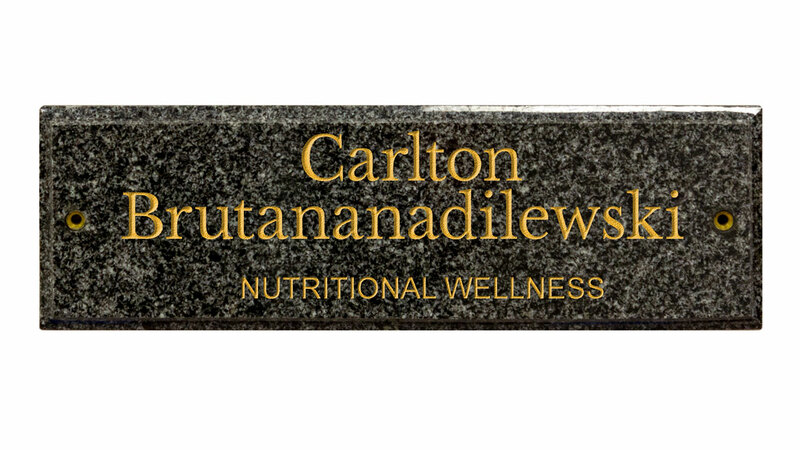 Bespoke solid granite door plaques include number, text or your logo. Deeply engraved characters give you the option for customization, perfect for any office, restaurant, or home. Size 11-3/4" x 3-3/4" x 3/8"